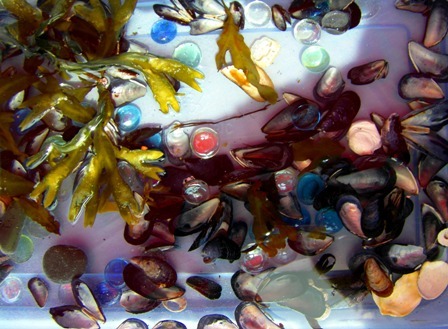 West coast summer holidays and beach-inspired marine art! Are you inspired by boats, sand, views, beach creatures, plus azure afternoons and sunset colors? 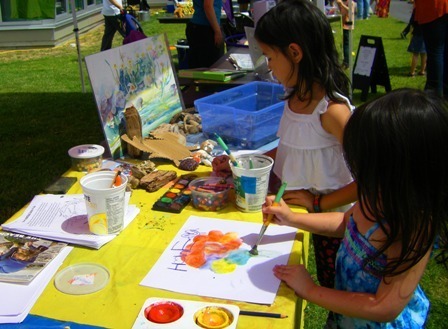 If the kids want to try beach-painting at the park, what better way than to bring some “beach” to the children. Touch, feel, look, SMELL, and paint! Family art and beach fun at my artist’s booth. 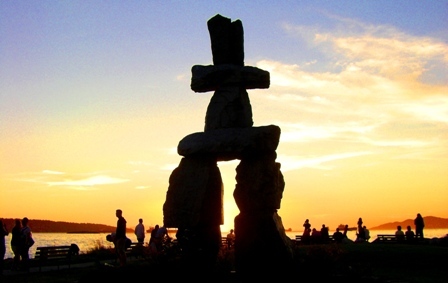 …and sunset colors beside Vancouver’s Inukshuk Beach! 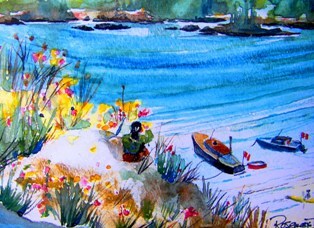 Tags: azure afternoons, beach-art, marine artist, marine artist Rosemary Hanna, sunset colors, Vancouver marine artist, view of the beach, west coast artist | Permalink.